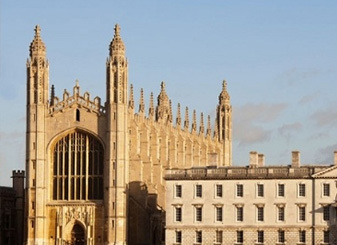 Personal Statement Service is the UK’s leading provider offering thorough and carefully composed statements for those applying for undergraduate, post-graduate, Master’s and PhD courses at all universities, including Oxbridge, and for professionals seeking specialist support. This service gives you an edit of a previously written personal statement. This will give you a fully written personal statement for your UCAS application. This is our elite service to give you the edge in your application with a fully written, edited and unique personal statement for UCAS. Writing a personal statement can be challenging, so our expert writers are here to help you with this difficult task. As the name suggests, the purpose of the personal statement is to remain personal and to convey to the admissions officer all of the things that make you, specifically, a strong candidate for your chosen course. By using our personal statement help, whether for a UCAS, postgraduate or any other form of university application, you are guaranteed to put forward a concise, eye-catching personal statement that demonstrates with clarity your suitability for your chosen course to the admissions tutors. At Personal Statement Service, you will receive a bespoke personal statement that is 100% plagiarism free and showcases your attributes and achievements in the best possible light. Our extensive team of experienced writers achieve this by working closely with you to gather as much information as possible about you as an individual. We only work with the information that you give to us. We offer personal statement help that ensures that your personal statement highlights those aspects of your skills, experience and, of course, personality that are of interest to your chosen institutions. Our team of experts is equally experienced in working with UCAS and directly with universities and postgraduate statements, including for specialist applications for courses such as teacher training and nursing. Our work process is simple and effective. You can easily find a service to suit your own particular needs and the level of course for which you are applying. Our services range from editing your current personal statement to creating bespoke statements for the most competitive of courses. We also offer a wide range of experienced writers so that we can guarantee your personal statement will be written with care and consideration. With the level of competition for places at Oxford and Cambridge or on Medicine, Dentistry or Law courses being consistently high year after year, and with competition for postgraduate places remaining as fiercely competitive as ever, you can even be matched up to a writer with the specific skills and experience relevant to the course and level of study you want to apply to, in order to ensure the highest quality of personal statement. Our writers will then work with you to produce a personal statement that is well-crafted, effective and unique to you. How can I improve my chances of a university place? You need to ensure you have the best possible results as well as an outstanding personal statement. Students tend to take months refining their personal statements so our service is necessary and valuable to competitive students as it reflects who you are and why you should be valued by the universities you have applied for. Will you protect me from plagiarism? All of our personal statements, whether for undergraduate or postgraduate courses, are created from scratch using the information you provide us with on your questionnaire. We would never give you a plagiarised personal statement and you can rest assured that all of our writers are qualified professionals who have had vast experience in this industry and understand all levels of university application processes and requirements inside and out. We would never jeopardise this standard of work, nor disappoint your expectation of our integrity.